I finished this quilt yesterday to bring up to our camp today but first Miss Penny found it as she always does. She loves quilts! This was made this past winter with all stash scraps and cut on my Accuquilt cutter with the large tumbler die. Easy peasy. It just took me forever to sew down the binding but yesterday afternoon I watched a movie and got to it. This afternoon I take the second part of my test to get my boating license so wish me luck. Good luck with the license! Love that quilt. 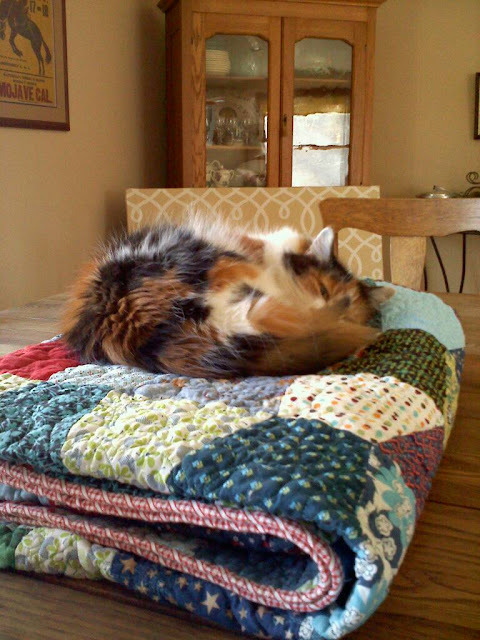 Miss Penny looks precious on your beautiful quilt. Good luck with your liscense. Such a beautiful calico blessing your quilt! Hope the test goes well. Happy days on the lake! Penny really shows off quilts sooooo well. I'm really excited about the license. Ohhh Chris, keep us posted. 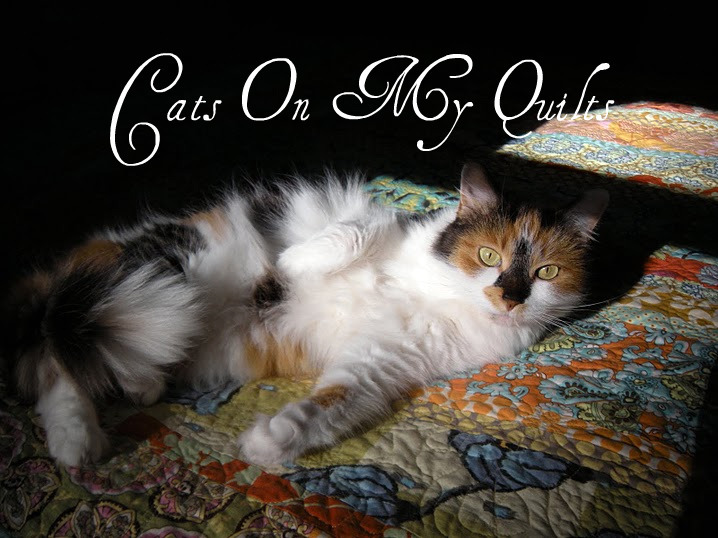 What a great picture of you kitty on a beautiful quilt!! Good luck on the test. Cute quilt an kitty too!! Miss Penny certainly has good taste! I love your colorful kitten! I'm a beginner quilter but my cat likes them anyway! 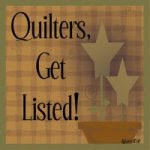 Just found your blog, via WonkyGirl, Just had to comment your quilts are lovely no wonder the puddycats love them too. Wish I had more time to make some myself, tumbler design would be my favorite.